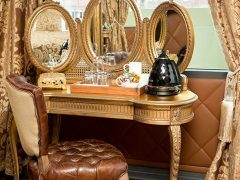 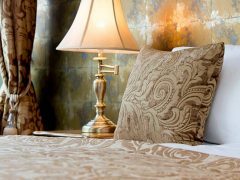 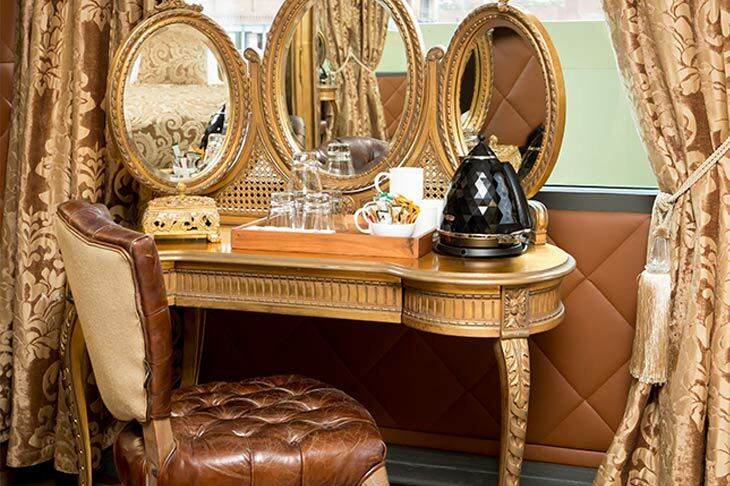 A unique Liverpool hotel room that radiates a lavish luxury is The Vault. 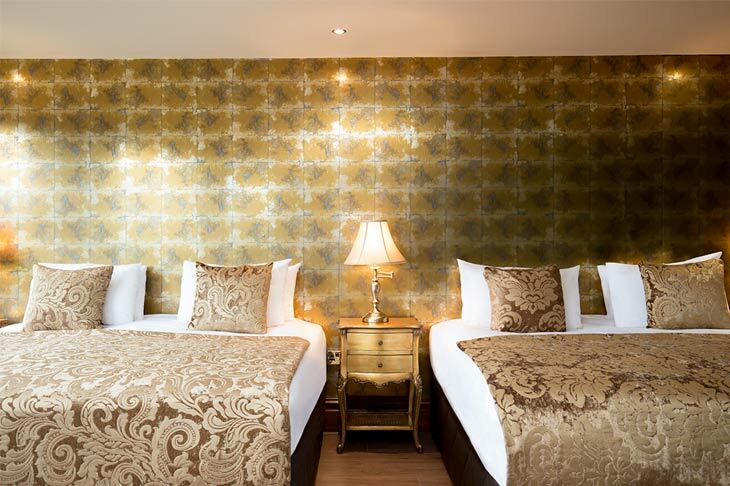 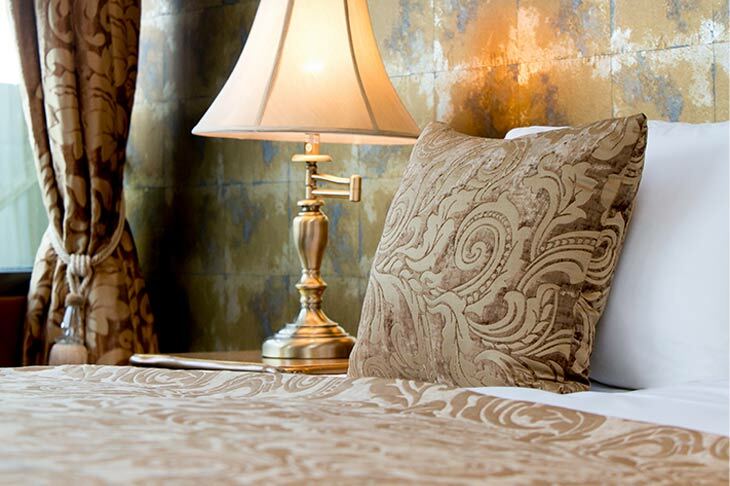 This stunning hotel suite has been outfitted in gleaming gold from floor to ceiling exuding extravagance and wealth. 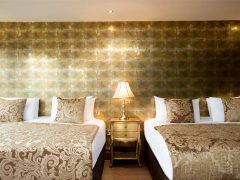 The glittering gilded furnishings and elegant fixtures perfectly complement the space making The Vault the ideal luxurious Liverpool accommodation for a group of guests. 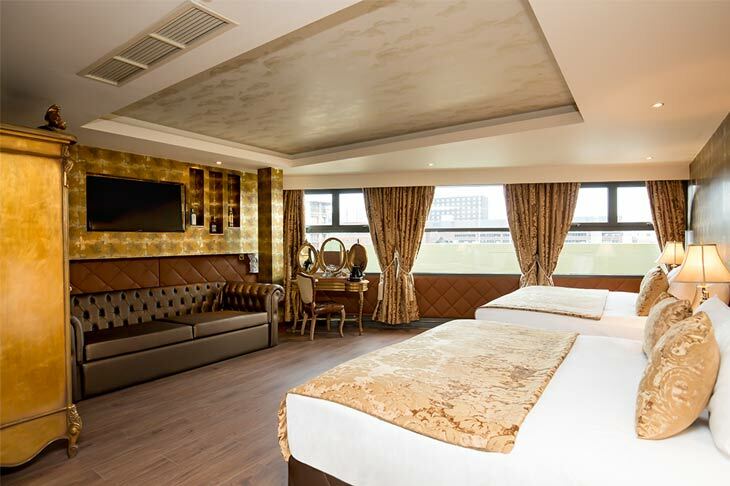 Sleeping up to five people in one of two plush double beds and a comfortable single sofa bed, The Vault is a spacious and stylish hotel suite perfect for a memorable visit to Liverpool. 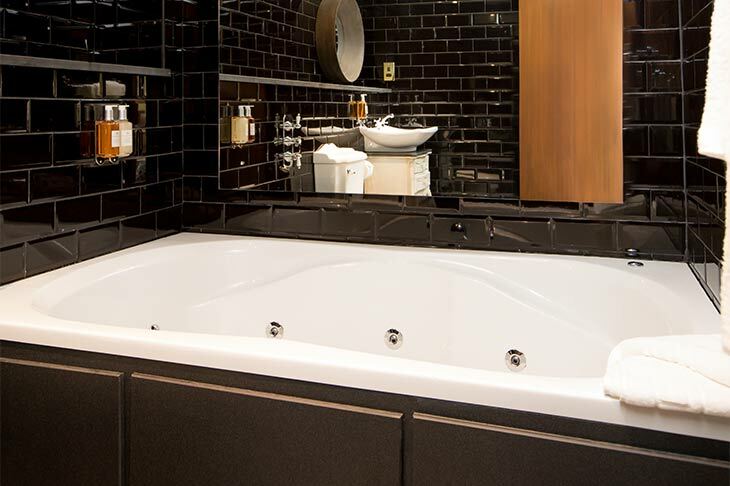 Other amazing features of The Vault suite include an extravagant ensuite bathroom with double whirlpool bath and a large flat screen TV for relaxation during your stay. 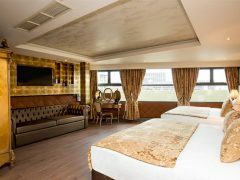 The Vault suite is situated at The Shankly Hotel giving guests access to on-site facilities such as The Bastion Bar and Restaurant, the Shankly Museum and secure city centre parking. 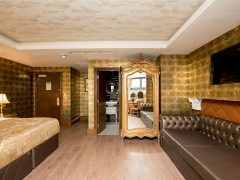 Guests are also within short walking distance of all Liverpool’s most popular attractions including the vibrant city nightlife, best shopping districts and historic cultural landmarks thanks to The Shankly Hotel’s city centre location. 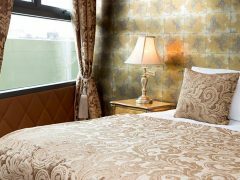 When travelling to Liverpool by rail into Liverpool Lime Street guests are just a short 5-minute walk away from The Shankly Hotel and Liverpool John Lennon International Airport is only 30 minutes drive. 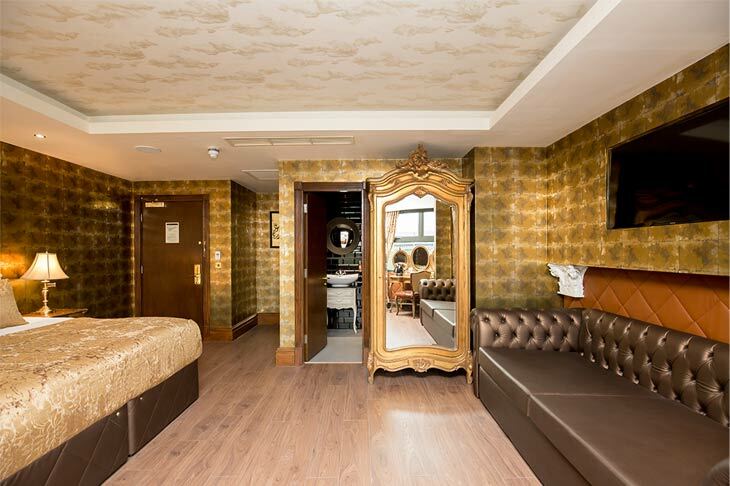 Staying in The Vault suite will ensure that you’re never too far from all of the action meaning you can explore all Liverpool has to offer without spending too much time travelling. 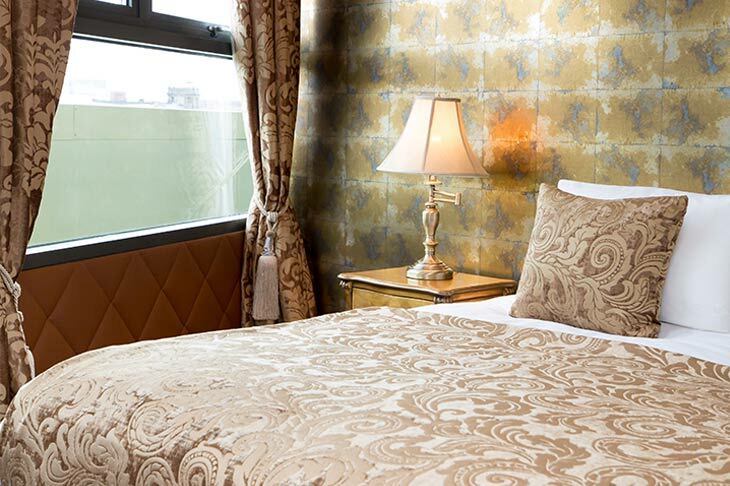 As The Vault suite is located in the heart of the city centre, getting to your perfect apartment couldn’t be easier.